Cagliari: Juventus's French midfielder Blaise Matuidi has hit out after he suffered racist abuse during Saturday's Serie A game against Cagliari in Sardinia and was ignored when he asked the referee to intervene. "Football is a way to spread equality, passion and inspiration and this is what I am here for. Peace," the 30-year-old added. 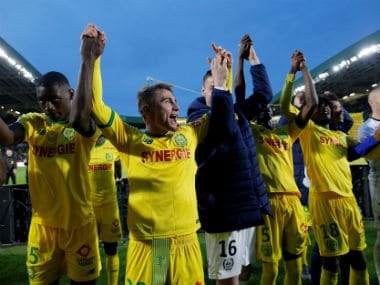 The incident took place just before half-time as the French international engaged in a tackle with a Cagliari defender. Television footage showed an angry Matuidi looking towards the stands in the Sardegna Arena. After unsuccessfully approaching the referee to seek his intervention a furious Matuidi was calmed down and led away by his Juventus teammates Paulo Dybala and Mehdi Benatia. Juventus went on to win the game 1-0, when Italian winger Fernando Bernardeschi scored after 74 minutes. 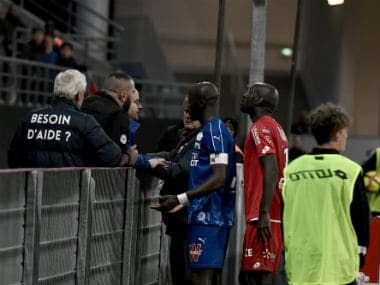 The former Paris Saint-Germain player suffered similar racist chants during a match in Verona last month for which the club was fined 20,000 euros ($24,000) by the Italian league. Last season Ghanaian Sulley Muntari – who then played for Pescara – walked off the pitch in Cagliari after being targeted by racist abuse.